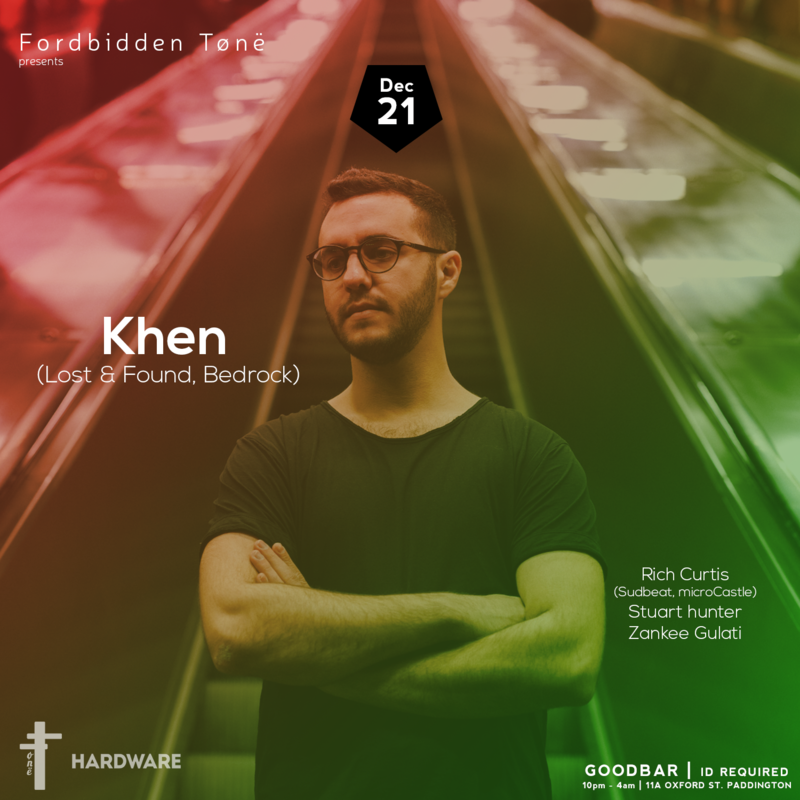 One of the biggest acts from Guy J's 'Lost & Found' label Khen returns to Sydney in December. The jury is in, and the likes of Guy J, Sasha, industry media and an exponentially growing fan base across the globe unequivocally agrees; Khen is next big thing to come out of the dance music hot bed that is Israel. Khen was gifted with an almost unsettling talent discovered by his brother who encouraged him to start producing at age 11. Instantly spellbound by the creative process, he spent all his spare time in front of a Moog synth instead of the playground and did his first club show at 15. He saw his international breakthrough on the scene in 2016 when he released his critically acclaimed debut album ”One Day of Independence” on Guy J’s Lost & Found. The LP saw support from the likes of Pete Tong, Noir, Dubfire, Joris Voorn, Hernan Cattaneo, Jeremy Olander and Paco Osuna. It climbed the Beatport charts and made the coveted number 1 spot on the overall releases chart in mere days. Khen started 2017 with a debut US tour at Schimanski in New York City, Sound in Los Angeles and Halcyon in San Fransisco and released massive debut EPs on Vivrant and Bedrock. Infinite praise from industry institutions such as DJ Mag and Mixmag followed, and there was no surprise the influential Dancing Astronaut named him an ”Artist to watch in 2017” alongside Yotto, ANNA and Enrico Sangiuliani. Mixmag opted to feature him in their “Impact” segment that highlights high momentum talent and has previously played host to budding superstars Lauren Lo Song, Cristoph, Peggy Gou and Julia Govor. Going from strength to strength in 2017, all signs point to 2018 becoming an even bigger year for Khen. With an arsenal of remixes on Noir, Bedrock and originals on Lost & Found as well as other unnamed labels, the crown is there for the taking for this phenom pegged as the next big thing.